“A lie can travel half way around the world while the truth is putting on its shoes,” Mark Twain is believed to have said. Indeed, an annual lie about Israel flooding the Gaza Strip circled the globe this week, with newspapers making wild allegations against Jerusalem that a minute of fact-checking could have straightened out. A writer at Britain’s Daily Mail newspaper outdid the other reports, contorting herself into knots to tie the flooding in with Israel’s Electric Corporation temporarily suspending service to West Banks cities Nablus and Jenin. 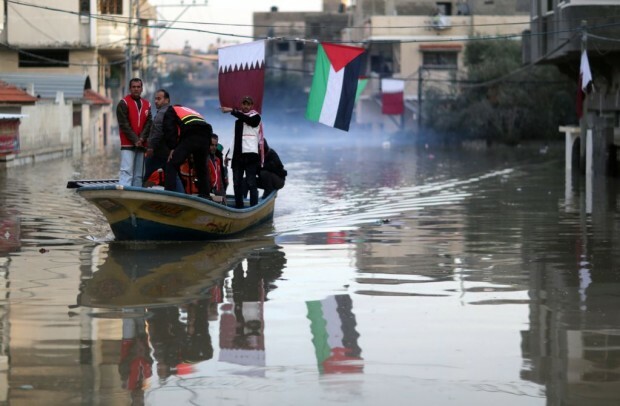 Nahal Oz, Israel, February 24 – Israel Defense Force engineers are working intensively to conceal a series of dams that were opened in order to flood the Gaza Strip with rainwater, aiming to contradict news reports of the induced flooding.